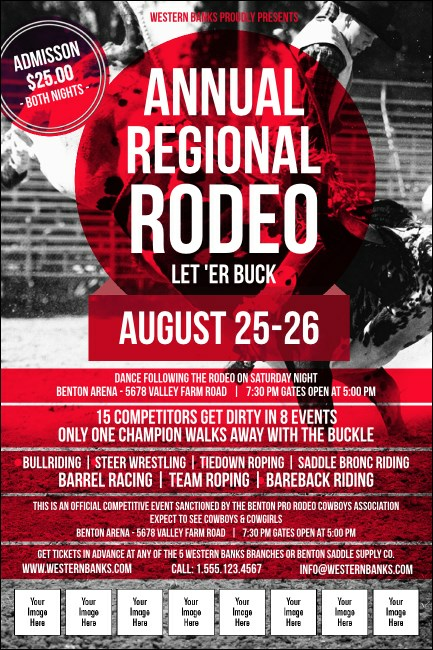 Round-up a great turnout for your event when you advertise in advance with Modern Rodeo Posters. These cutting-edge Poster templates feature room to upload eight of your own unique images on a classic black and white background with red accents. Go ahead and shine the spotlight on those generous sponsors and your special guests. We’ve got our advertising technique down to an art at TicketPrinting.com.